Graduate of the Faculty of Medicine and Pharmacy, Dr. Michaëlle Amédée Gédéon got her master's degree in public health at Harvard University in the United States. she was appointed Director General of the Ministry of Public Health and Population before being promoted to Minister of Health. She became President of the Red Cross for 12 years. Dr. Michaëlle Amédée Gédéon, the former President of the Haitian Red Cross (2001-2013) and former Minister of Health, died on Wednesday, August 22, 2018 at Bernard Mevs Hospital following a road accident on Tuesday on her road to Les Cayes. Outgoing Prime Minister Jack Guy Lafontant, while announcing his resignation from the Jovenel Moise administration said in a condolence message that Haiti has as lost a great lady, a great contributor in the health sector and a specialist in public health. 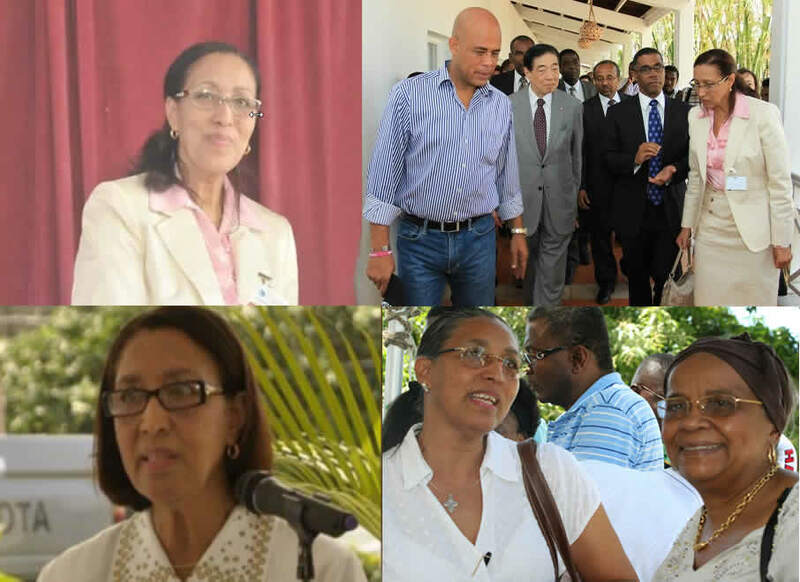 Former first lady, Sophia Martelly, described the former health minister as a "humble and courageous woman. Her sudden death is a huge loss to the Haitian medical sector". On Tuesday, August 22, the Haitian Red Cross expresses its sadness at the death of its former President Patricia Michaëlle Amédée Gédéon (2001-2013). Dr. Michaelle Amédée Gédéon was appointed as the Minister of Health under the presidency of René Préval/ Alexis government, from March 24, 1999 to March 2, 2001. In 2015, she received the honour of "Doctor Honoris Causa" from the Royal University of Haiti. Mrs. Gédéon is credited with a brilliant career in public administration and in the private and non-governmental sectors. She earned post-graduate Diplomas on International Course on Nutrition and Food Sciences from Ghent University, Belgium (1981) and Massachusetts Institute of Technology (1981-82). Dr. Gédéon was a Master of Public Health from Harvard School of Public Health (1982-83) and Doctor of General Medicine from State University of Haiti. In the Haitian Ministry of Public Health, she acted as the Director General (Sep 1997 to Mar 1999) and as a Minister (Mar 1999 to Mar 2001), She was a Governing Body Member of IFRC (2005 to 2009) and President of National Society of the Haitian Red Cross (May 2001 to Nov 2013). She was the Dean of Health Sciences Faculty, UNIFA (Apr 2014 to Jun 2017), a Consultant in Public Health and Nutrition, and Advisor to Non-profit Health organizations.